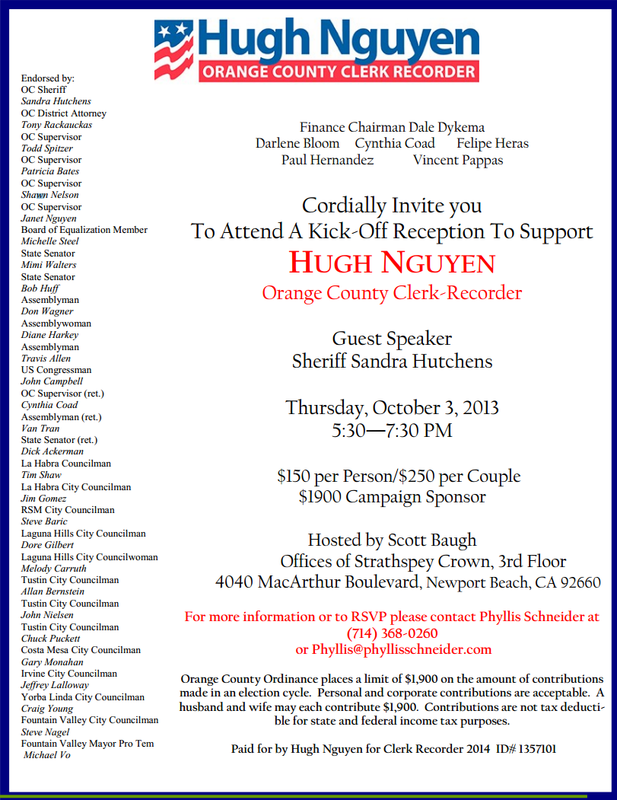 YORBA LINDA, CA – – The Phillip Chen for Assembly campaign announced this morning that Orange County Sheriff Sandra Hutchens has endorsed Phillip for Assembly in the 55th district. Sheriff Hutchens is one of the most popular public servants in Orange County. Phillip Chen is a Republican running in the 55th district with the support of the district’s current representative, Curt Hagman. The district covers parts of Los Angeles, Orange and San Bernardino counties. 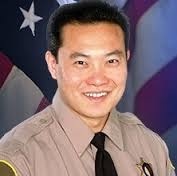 “I am deeply honored to have the support of Sheriff Sandra Hutchens, one of the most respected crime-fighters in California, and I look forward to working with her and our law enforcement community to keep us safe,” Chen said. Phillip Chen is a small business owner and USC Professor who was the top vote-getter in the Walnut Valley Unified School District Board election in November of 2011. He is a top advisor on health care issues to Supervisor Mike Antonovich and a reserve Deputy Sheriff for the L.A. County Sheriff’s Department. Phillip was appointed by Governor Pete Wilson to serve in the Governor’s Office of Criminal Justice Planning, where he worked on legislation involving foster care, gang prevention, drug awareness, and mental health. Phillip is a Doctoral Candidate at USC, he has a Master’s in Public Administration from USC and holds a B.A. in Communications from Cal State Fullerton. In addition, Phillip teaches Public Administration as an Adjunct Professor at USC.